But I live 5 blocks from the Giants stadium and every night there's a game and there's a win, the fans line the streets and scream and shout in victory. So I can't help but get caught up in the excitement! 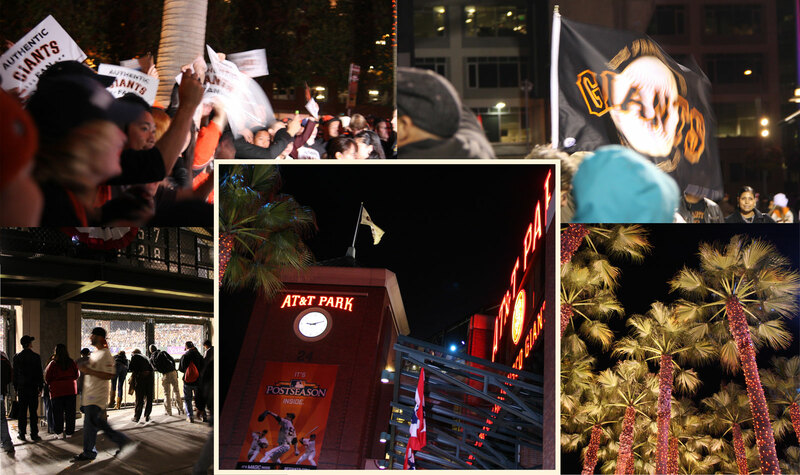 On Saturday, we won the National League Pennant and we're going to the World Series! Jimmy and I don't have tickets, but we can't wait to just walk to the stadium, catch glimpses from the fence and celebrate with fellow fans in the street. It starts tomorrow in my backyard! Who wants to come? No baseball knowledge necessary. I'm not a sports enthusiast either, but how can you not get caught up in the excitement being so close! I was watching the game on the telly last night, WOW the bottom of the 8th, the Texas pitchers just fell apart. I predict Giants in 4 games!